Every mobile app struggles with customer churn. If you recall, the average mobile app loses 77% of its Daily Active Users (DAUs) within the first 3 days after installation. Then, in the first month, that number increases to 90%. By the third month, the app has lost over 95% of its DAUs. There are two mobile app companies that have fought this customer churn and found effective strategies that reverse the typical loss of active users. Those two companies are mobile wallet Mobikwik and video streaming giant Hotstar. Before we get into how to combat churn, let’s define churn rate. Churn rate is important in mobile apps because it’s a way to measure how quickly you’re losing users. The more DAUs you lose, the more expensive it gets. You end up scrambling to add new users who can keep the income flowing. The success of your app lies in managing that churn rate and converting the users you already have. 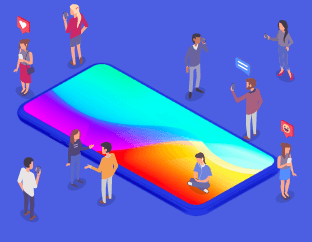 Mobikwik Is one of India’s largest and fastest-growing mobile payment networks, connecting over 65 million users with more than 2.5 million retailers. They process over 25 payments per second and sign up 100+ new users every minute. Mobikwik provides a virtual wallet that users can refill and use to purchase from online retailers. This means users don’t have to disclose credit card details when they shop online or when they need to transfer money to friends. Challenge: What are the Numbers? Mobikwik’s biggest challenge was that they knew they were losing massive amounts of users to customer churn within the first month of installation, but they were unsure of the exact numbers. They were constantly bothering their data team in order to get these numbers. Meanwhile, they were spending a lot of money on advertising in order to acquire new users. That all changed when they implemented CleverTap as their intelligent mobile marketing platform. After integrating our tool into their martech stack, Mobikwik could see that 30% of their users were uninstalling within the first week. This discovery prompted them to send out Day 3 and Day 4 promotions to encourage new users to launch the app and complete a key action. By doing this, they decreased their uninstall rate by 10% in the first week. Then they sent out SMS and email campaigns for those users who already uninstalled. This effort to win back churned users won back 23-25% of their uninstalled base. They reduced uninstall rates by 20% by sending timely campaigns aimed solely at conversion. And overall, they were able to increase user engagement by 2x using campaigns that were triggered by user behavior. Hotstar is an online video streaming platform with over 50,000 hours of TV and movies plus live sports coverage. With more than 100 million users, Hotstar provides subscribers with excellent viewing experiences while giving advertisers a platform to reach millions. Challenge: How Do We Scale and Decrease Customer Churn? The challenge was the sheer size of their customer database. With over 300 million profiles, the scale necessary to personalize all their app messages was staggering. Then they had problems identifying the best times to send messages, which languages specific users preferred, what content these users had already viewed, and more. Furthermore, they had live event coverage, which meant the Hotstar team needed to deliver over 50 million push notifications in a span of only 2-5 minutes. If they missed that window, the notifications would be meaningless to many of their viewers. They needed a solution that would help them segment their massive user base, personalize messages at scale, and quickly send millions of messages. By adding CleverTap to their martech stack, Hotstar was able to send personalized messages during live cricket matches to over 50 million viewers, resulting in a click-through rate of 5.7%. By sending personalized messages to dormant users, they successfully resurrected 8-10% of their inactive user base over just a few months. 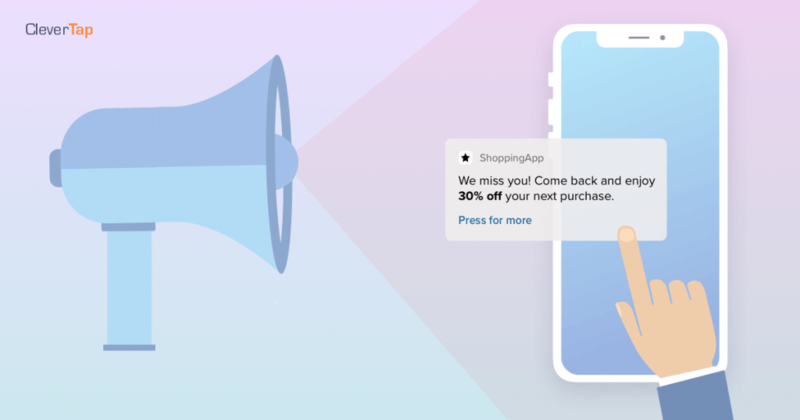 They were even able to discover that their users were most active between 6 and 9:00 pm, so they were able to shift their push notifications to this time frame and increase click-through rates by 3x. The team now schedules and alternates customer communications based on real-time in-app activity, garnering high click-through rates of 6% and above. After sending personalized notifications via CleverTap, Hotstar got 76% of their users engaging with their app on a regular basis. This is an almost 3x increase over the initial 27%. First off, you can’t know how to improve your mobile marketing efforts unless you have an analytics platform to help you benchmark your metrics. It becomes essential to use the correct mobile marketing platform that enables you to see how your campaigns are performing. Secondly, battling customer churn means knowing how your users behave. Your app analytics software should help you identify the behavior that leads to uninstalls so you can nip it at the bud. Thirdly, the key to dealing with churn (and even preventing churn from happening) is to engage with your app users — and not just blast out generic messages. Personalization is needed so that the messages are relevant to each person’s situation or context. 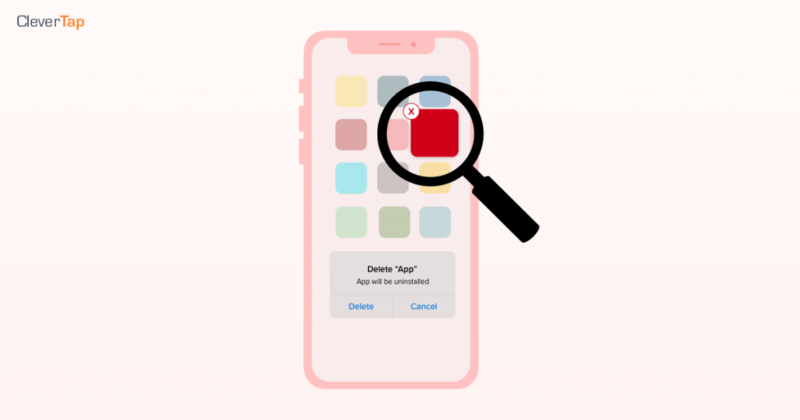 Lastly, if you’re going to track user behavior and personalize messages for thousands of segments, you need a mobile marketing platform that doesn’t buckle under the strain. Look for platforms that can scale and send personalized messages to millions of people within seconds.